Here's the excellent box art for November 22's Nintendo 3DS (and 2DS—wow that feels weird) game The Legend of Zelda: A Link Between Worlds. Hey, listen! What's that orange icon in the top right corner? Why, that's the logo for the Nintendo Network, which indicates that a game might have online multiplayer or support DLC. 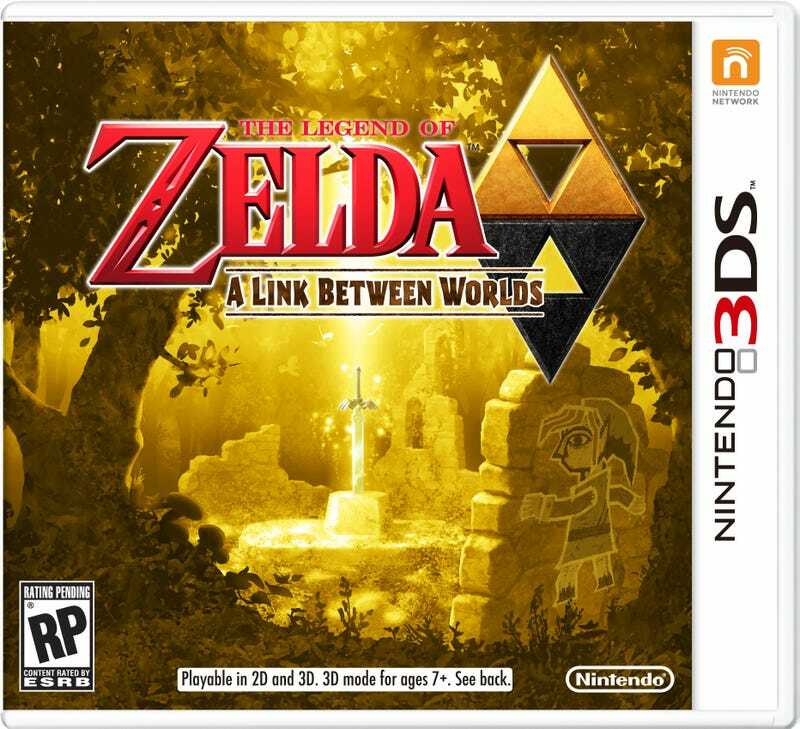 I knew that A Link Between Worlds was a sequel to the Super Nintendo classic The Legend of Zelda: A Link to the Past. I did not know it might have online multiplayer or DLC or any other Nintendo Network functionality. Let's do it like this in the discussions below: name the best possible thing this could represent and the worst.